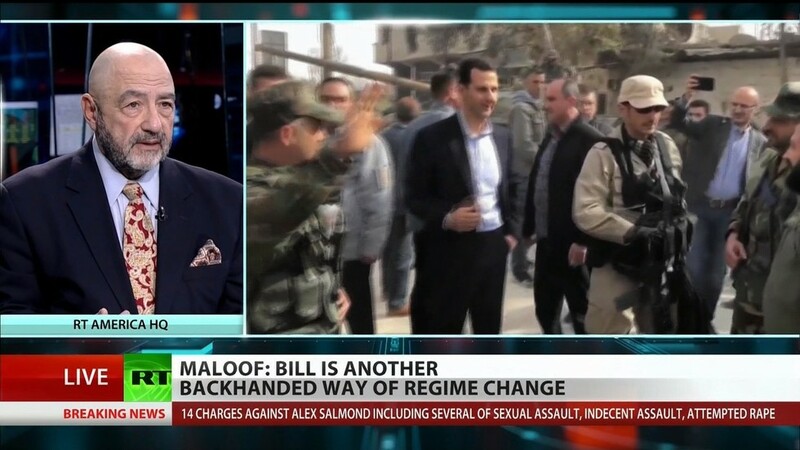 Manila Chan talks with former Pentagon official Michael Maloof to discuss the House bill to sanction any entity they consider supporter of Syria’s business and energy sectors. Former UK MP George Galloway weighs in on the Brussels lawsuit against Europe’s highest court over what they consider to be “unfair” tax cuts. RT America’s Natasha Sweatte reports about the recall of blood pressure medication.